I graduated with my Juris Doctor (JD) from the University of Alberta, Faculty of Law (2001). After clerking with the Alberta Court of Appeal, I completed my articles with the Federal Department of Justice. I then worked for two years as a Refugee Protection Officer with the Immigration and Refugee Board where I obtained experience in hundreds of immigration hearings and appeals. I received my Master of Laws (LLM) in Administrative Law from York University Osgoode Hall Law School (2010). My major research paper in support dealt with the unwarranted deference to refugee adjudication in Canada. 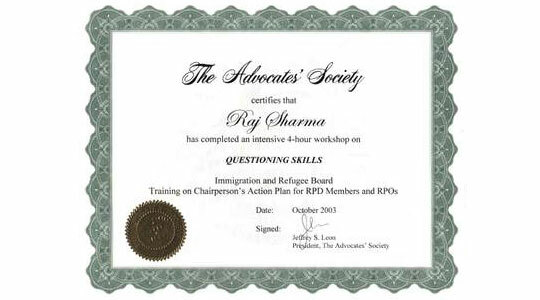 I have practiced immigration law for over 14 years. 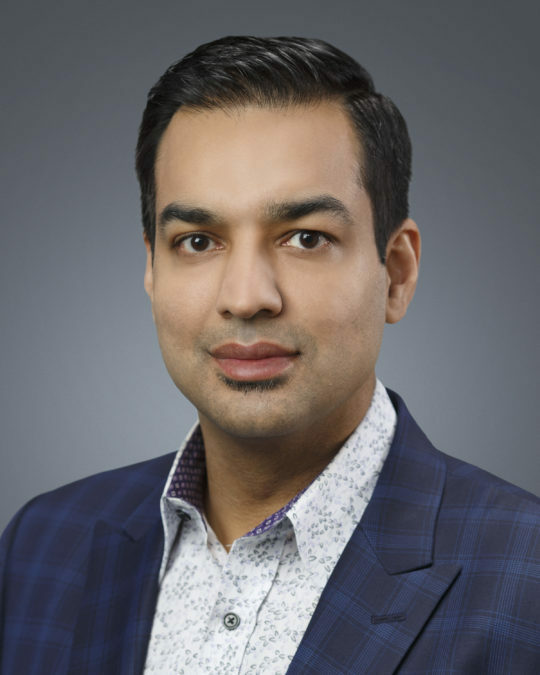 I am the managing partner of Stewart Sharma Harsanyi which is one of the largest dedicated immigration firm in Canada and is a recognized leader in immigration. I represent clients on the full spectrum of immigration law, from multi-national oil companies seeking executive relocation and highly skilled workers to individuals seeking a better life in Canada. At present, I am an Adjunct Professor with the University of Calgary, Faculty of Law, teaching the Immigration and Refugee Law course this Fall. I regularly speak on immigration matters and have presented before the Criminal Trial Lawyers Association on two consecutive years as well as the Criminal Defense Lawyers Association of Calgary to discuss changes to immigration laws and the consequences of criminal convictions to foreign nationals and permanent residents. I was a speaker at the 2014, 2015 and 2017 National Immigration Law Conferences (CBA); at Legal Education Society of Alberta Conference (Immigration Fundamentals) in 2017; a centennial commemoration for the Komagata Maru; the Calgary Islamic Chamber of Commerce; the Calgary Board of Education’s International Youth Leadership Summit; the Ethno-Cultural Council of Calgary marking the International Day for the Elimination of Racial Discrimination; the Muslim Council of Calgary, among many others. I have written numerous op-eds on immigration, diversity and multi-culturalism that have been published in the Globe and Mail; Calgary Herald; and Calgary Sun. I have been asked on numerous occasions to comment on immigration law and policy changes (CBC TV/Radio, including The National; Alberta Primetime; Global; CTV; OMNI). I have debated Martin Collacott of the Fraser Institute and Centre for Immigration Reform on whether Canada accepts too many immigrants; Deepak Obhrai (MP and Parliamentary Secretary) on additional and stricter language requirements for citizens; David Seymour of the Manning Centre on whether Canada’s new immigration policy is too exclusionary; Imam Syed Soharwardy on honour crimes in Canada; and a CSIS agent on the profiling of Muslims. My academic writings include “Deference, the Universe of Discourse and the Standard of Review” published in the Alberta Law Review and a commentary on Canada’s refugee health reforms. I have appeared before every level of Court in Alberta; regularly appear before the Federal Court, and have appeared before the Federal Court of Appeal and every Division of the Immigration and Refugee Board; have over 100 reported decisions and thus have extensive experience in immigration applications and I am passionate about representing my clients and assisting them in obtaining a positive decision in their immigration matters. 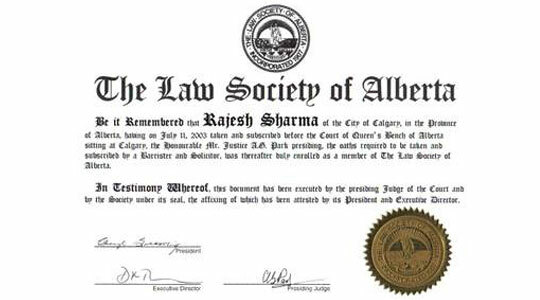 Canadian immigration policy has to recognize that new immigrants often carry with them … Raj Sharma practises immigration law in Calgary. Calgary immigration lawyer Raj Sharma will speak about multiculturalism at the conference. He signed up unaware Philips was also on the list.